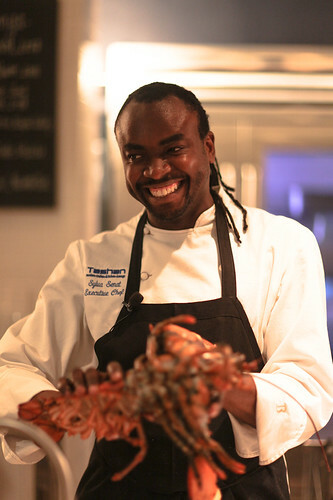 Good news for fans of former Tashan chef Sylva Senat. Michael Klein reports that talented chef has landed at the Saint James in Ardmore. We feared the chef might head back to New York City but hadn’t considered the connection between Senat and the Saint James’ Michael Schulson. Senat cooked for Schulson when the energetic Schulson was Buddakan New York’s executive chef. No word yet on a new menu but we’ll be following carefully.